Wills can cost anything from a few pennies to a pretty penny, depending largely on whether you hire an attorney. If your estate is large or your estate plans complicated, you'll want legal advice. But if you decide you can do it on your own, making a will does not put a large dent in your bank account. A will is a legal document in which you describe who is to inherit your property when you die. You can also use a will to name someone to look after the interests of your minor children and name an executor who shepherds the document through probate. A will only becomes effective on your death, when you are no longer around to answer questions, so states require several adults to be aware of your intent when you make the will and witness your signature. Only a handful of states permit holographic wills -- that is, wills entirely handwritten by the person making them -- but if you happen to live in one of those states, your will need cost no more than the ink and paper it's written with. Holographic wills are not appropriate for complex bequests, but they may fill the bill when you want to leave your estate to one individual, or a few. Be sure to write everything by hand, including the date and your signature. You'll find fill-in-the-blanks will forms at your local office supply store and online for very little money, but be aware of the risks before you go this route. Most of these forms provide appropriate spaces for you to list assets and identify beneficiaries, but it is critical that they also fulfill your particular state's rules about will-making. 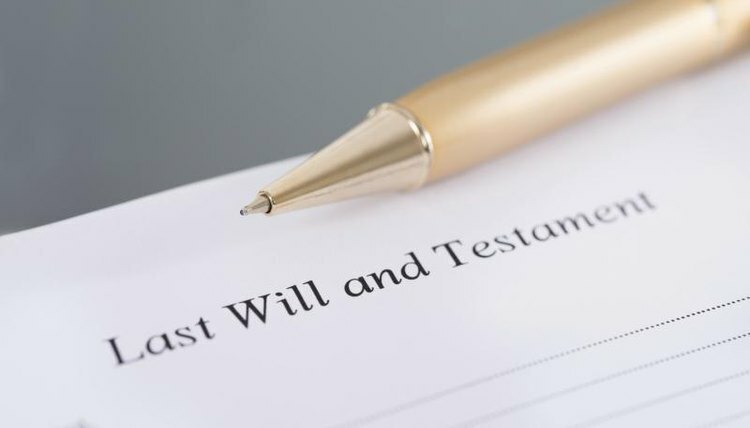 For example, states vary as to the number of will witnesses required and whether they must be disinterested, meaning they must not be beneficiaries under the will. It is better to use a form will offered by your probate court or state bar association. A statutory will is an excellent alternative, if available in your state. This is a form will approved and published by the state legislature, certain to meet all of your state's will requirements. It may be wise to have an attorney review your form will before you sign, although this increases the will's cost. If you decide to hire an attorney to prepare your will, you will either pay a set fee or by the hour, depending on your fee agreement. Although attorney-prepared wills are more expensive, the extra cost may be justified for the peace of mind it brings. Those who disinherit their children or who expect a will contest for another reason should consider bringing in legal assistance. Likewise, if your estate is large or your will sets up a beneficiary plan spanning several generations, legal help now -- and maybe accounting expertise as well -- may save expenses in probate. Spengler, Teo. "Cost of Making a Will." , https://legalbeagle.com/5449897-cost-making.html. Accessed 19 April 2019.